There are 19 California Tourist Information Centers available to assist the state’s visitors and travelers with maps, brochures, coupons, bathroom facilities and more. These California tourism centers are staffed with friendly people who are happy to provide suggestions for and directions to local attractions and accommodations, and they are a wonderful resource for making the most of your California vacation, getaway or holiday. In addition to these state-run resources, most large (and some small) California cities have an independently run Convention and Visitor’s Bureau. Check out this list for additional California tourist information resources, including email addresses and phone numbers for your reference and research purposes. Also, if you’re planning to visit a specific California city but are unsure what’s located in the same vicinity, this California cities list can be a good place to start your trip planning research. Just locate the city you’re visiting on the alphabetical list, and then find other cities that are in the same area or sub-area. You can also learn about the different California areas and what they have to offer by clicking on the corresponding buttons under the logo-and-images section at the top of this page. Plus, there’s a handy California tourist map on the home page that sets out the state’s various areas that’s useful for trip planning inspiration and planning purposes. 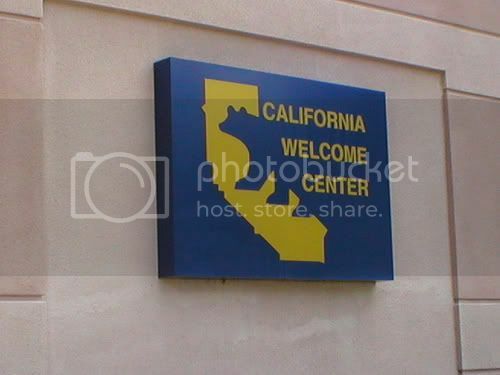 Photo of California Welcome Center sign by resedabear via flickr (Creative Commons).